Karol Mičieta, Ph.D. and Gustáv Murín, Ph.D. The original method of testing for pollution in the environment by means of wild and crop plant species is described, with practical examples explained in detail within this book. This original method was developed by authors and proved correct for industrial complexes like nickel plant dumps, a smelting plant and an aluminium factory as well as city environments experiencing a heavy traffic impact. For a demonstration of general usefulness, a collaborative study with Kuwait University was accomplished to show the impact of the first Gulf War to the environment. The study of radioactive contamination in the vicinity of the Jaslovské Bohunice nuclear power plant was finished in cooperation with the University of Wien, Austria.Promising results from the retrospective biomonitoring of polluted environments by means of pollen grains for herbal samples are also presented, detailing the situation at a chosen locality up to one hundred years prior. A list of wild and crop plant species as bioindicators is presented for practical use. 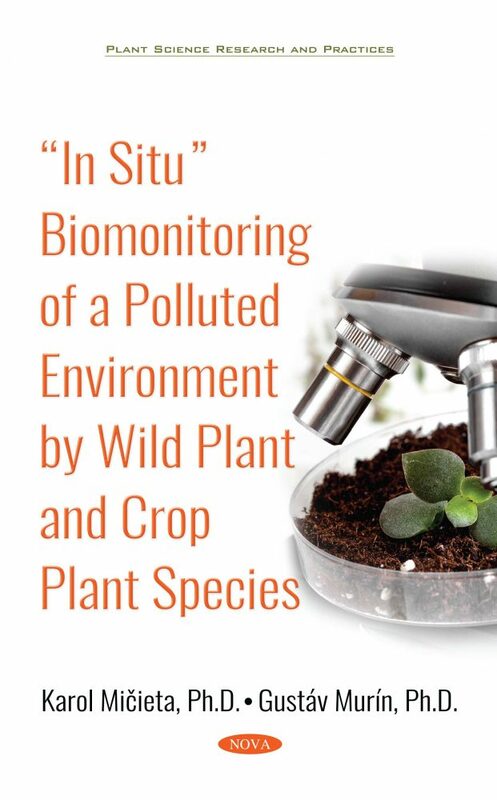 This original method is extended by special chapters describing other authors’ “parallel plant test of phytotoxicity and mutagenicity” and practical examples of remediation of heavily polluted sites. In conclusion, the authors are underlying the remarkable ability of nature to recover from all anthropogenic interventions thanks to the mechanisms of auto-regulation, adaptation and resistance. As this book is based on the thirty years of the authors’ experiences, it covers the period between the years of 1966-2018, with 380 references from this field of research. Keywords: Biomonitoring, pollen abortion, polluted environment, wild plant and crop plant species, radioactive contamination, environmental impact of low-radioactive bombs. Audience: Original method described in this book needs only basic university education and practical skillfulness therefore it is usable in any laboratory including industrial research centres. It is offering a vital information about biomonitoring to any institutions concerned about the pollution of the environment.